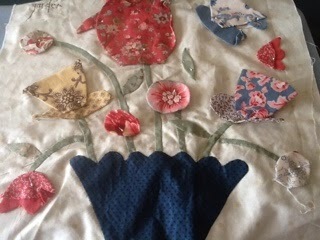 Last night I worked on my Gossip in the Garden, whilst knowing I had all my bloggy sewing friends sewing as well. Thank you Wendy for hosting another great night. if you would like to see what we all got up to, take a look HERE. You are growing a very pretty garden. Looking forward to seeing the end result. Nice work. Visiting from FNSI.